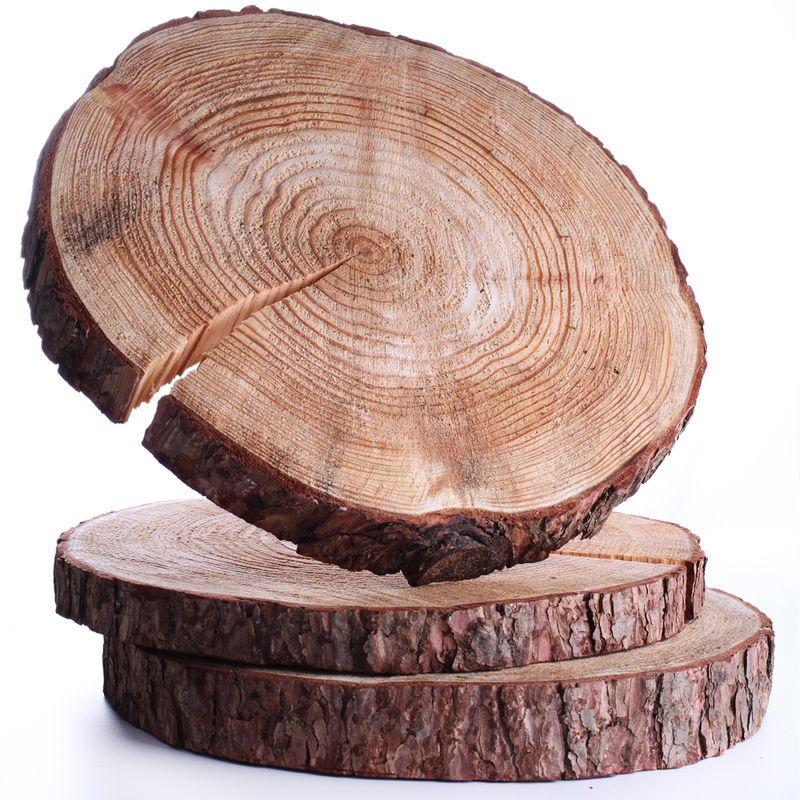 Description These wooden slices have a natural woodland rustic feel. Use them as a base for your floral styling to give it more height as well as adding the rustic element. You could also use a wooden slice as the cake stand. We have lots of other complementing products for a rustic/ natural/ woodland theme.